"The Polish ‘Few’" tells about a small, forgotten group of heroes: Polish pilots who were able to escape from Poland to France after the German invasion in 1939. There they went to help the French, fighting for freedom and peace. After the fall of France in May 1940, most of them escaped to Great Britain, where they joined the Royal Air Force, to continue the fight against the Germans. The writer, Peter Sikora, who lives in England, is an aviation researcher, historian and writer. He specializes in the history of the Polish Air Force; specifically the Polish pilots from 1939 to 1945. He has written several books and also writes historical articles for leading Polish aviation magazines. The British Fighter Command faced the biggest challenge of its existence in 1940, namely the Battle of Britain. Many Polish pilots were part of RAF squadrons, but they also formed their own squadrons. Only four became operational during the Battle of England, namely: numbers 300 and 301, consisting of bombers, and numbers 302 and 303, consisting of fighter aircraft. This was not strange at the time because the Netherlands also had "their own" squadrons: no. 320 (Dutch) Squadron, no. 321 (Dutch) Squadron, no. 322 (Dutch) Squadron and No. 860 (Dutch) Squadron. The Polish squadrons had already gained experience through their encounters with the Luftwaffe during the invasion of Poland (1939) and the Battle of France (1940). They soon leave their marks. For example, the 303 Squadron turned out to be the highest scoring unit of Fighter Command, in terms of the numbers of German aircraft brought down. Around 145 Polish pilots fought alongside British and pilots of other nationalities in the Battle of Britain, the largest group of non-British pilots in Fighter Command in 1940. Despite their achievements, a clear tribute has not been credited to Polish pilots, as is the case with many other Polish soldiers or units. Sir Hugh Dowding, at the time commander of the British Air Force, said that without the commitment and courage of the Polish pilots the outcome of the Battle of Britain could have been very different. The book describes many stories of the struggle for control of British airspace. The one time with force majeure battles were carried out against the Germans, the other time with a too small battle group. Overcoming and losing, being shot down, sometimes resulting in death. It is described in such a way that the rawness and chaos of an air battle becomes actual. Possibly this is (also) due to the quotes from interviews and the personal stories of witnesses. The book has 574 pages divided into a preface, an introduction and nineteen chapters. The final chapter is an alphabetical description of all Polish pilots employed by the RAF. Subjects covered are, the squadrons they served in, what their results were, their distinctions and their life-course. If they did not perish during the war, also something is mentioned about their life after the war. A list of annotations and an alphabetical register of names complete the picture. The book contains many photos of the crew members involved. In short, "The Polish ‘Few’" does justice to a forgotten group of heroes. Unfortunately, even after the war, the Polish pilots did not (always) get the recognition they deserved. That is comparable to the 1st (Polish) Independent Parachute Brigade, who was blamed for the failure of the Battle of Arnhem, while it now appears that the effort and sacrifices of the Polish paratroopers, made the battle less disastrous than would had been the case without their share. 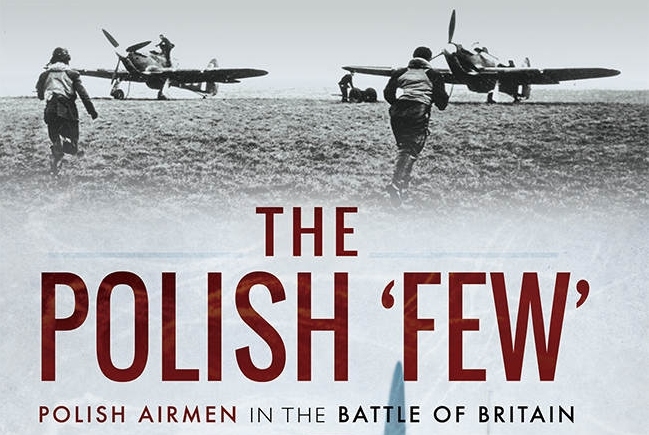 On TracesOfWar.com we recently reviewed the book The Polish 'Few', which was published by Pen & Sword. It's about Polish airmen in the Battle of Britain. We asked the author Peter Sikora some questions by e-mail.